Last Thursday eve I helped host a Christmas Craft Evening at my local Spotlight store. Together with staff and customers we had a very festive evening full of Christmas crafts, sweet treats and some lovely lady chats. The Christmas felt bunting along with the embroidered/sequinned homespun ornaments were the biggest hits as everyone was welcome to sit down, make and take what they had created. Everyone did such a wonderful job – the amount of creativity that there is out there is just phenomenal! This week, like a moth to the flame, I found my way back to my Double Wrench Mini Block quilt and have finally started quilting it! Huzzah! 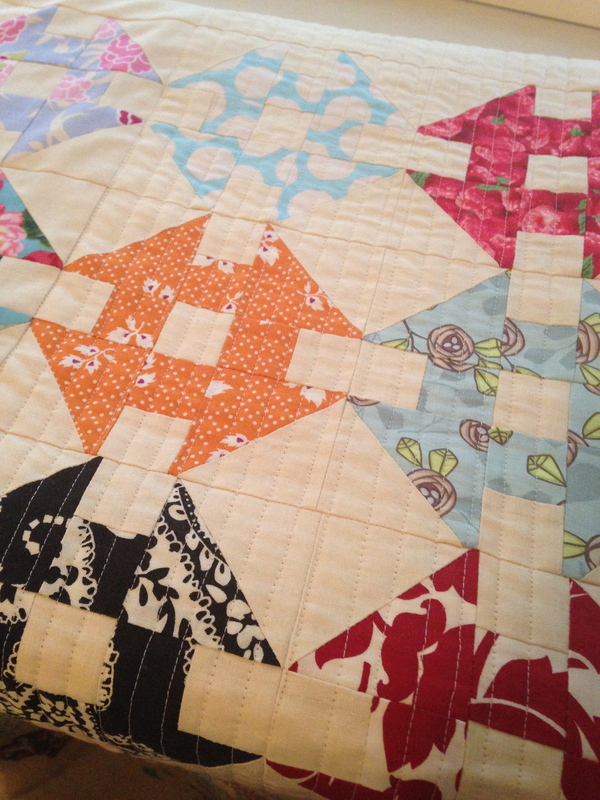 The quilt in it’s current state! As usual, I’m feeling very impatient to get it finished so I can share the sweet success of completion with you all! My itching fingers have also found their way back to my Yellow Sampler Embroidery, which has been an ongoing project since earlier this year. I’m on the home stretch to finishing it that today I bought a second-hand frame for it, ready to be hung quietly somewhere in my house! 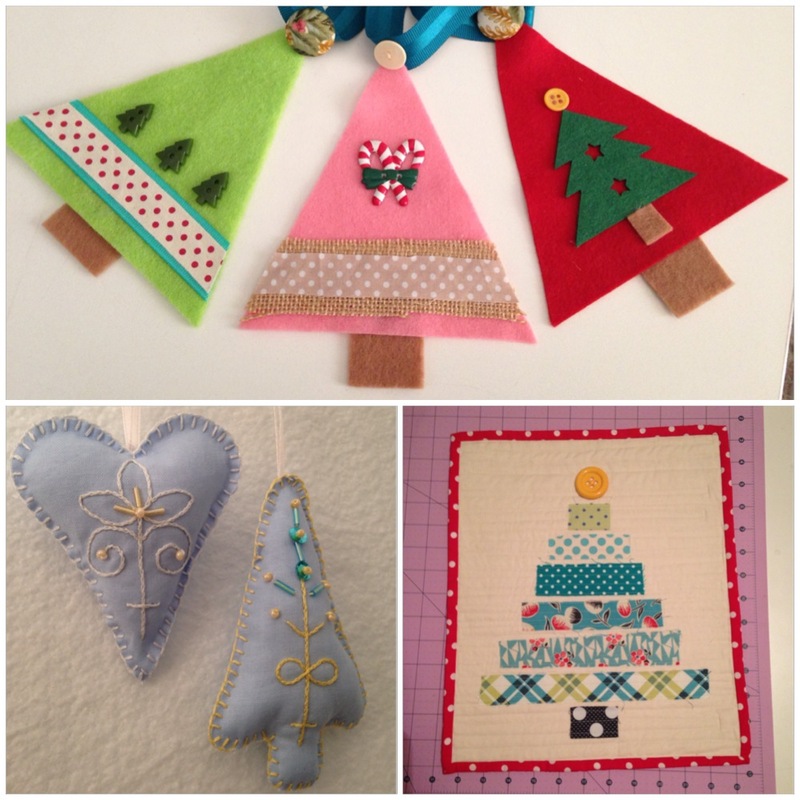 I’ll too begin planning for my 2nd Annual Handmade Christmas – a pledge to make and give only handmade gifts and cards for Christmas. 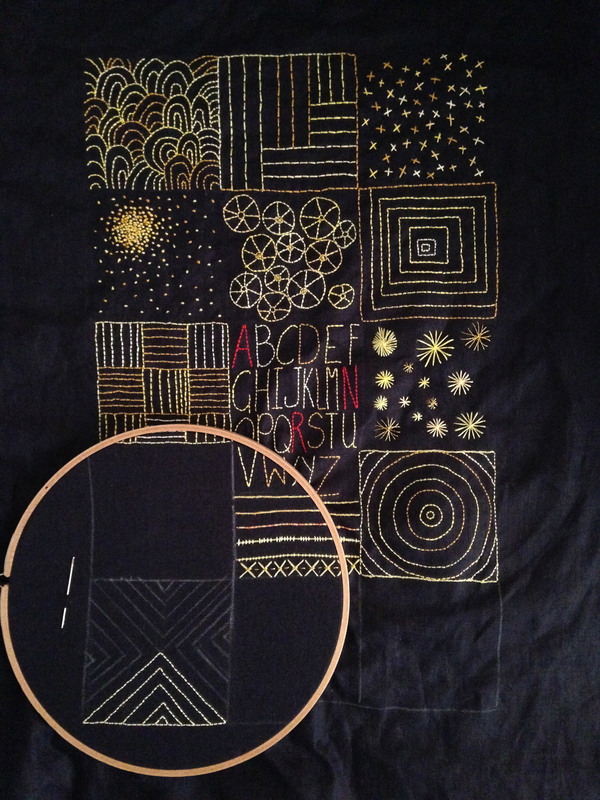 Previous PostTwo Years Later… Next PostQuilting My Guts Out! Wow I love that you chose to post a picture with that shows not everything lines up every time. I have real bad arthritis which make for a lot of unevenness but I say that way people that I give my quilts to will know that they weren’t bought in a store. Love the pattern this is one that is on my very long list of quilts to make. Yay for homemade gifts! I am almost done with my list of gifts to make. Only two left from the original list, but I might be adding to it, if there is time! You take it a step beyond by making those cute cards too! 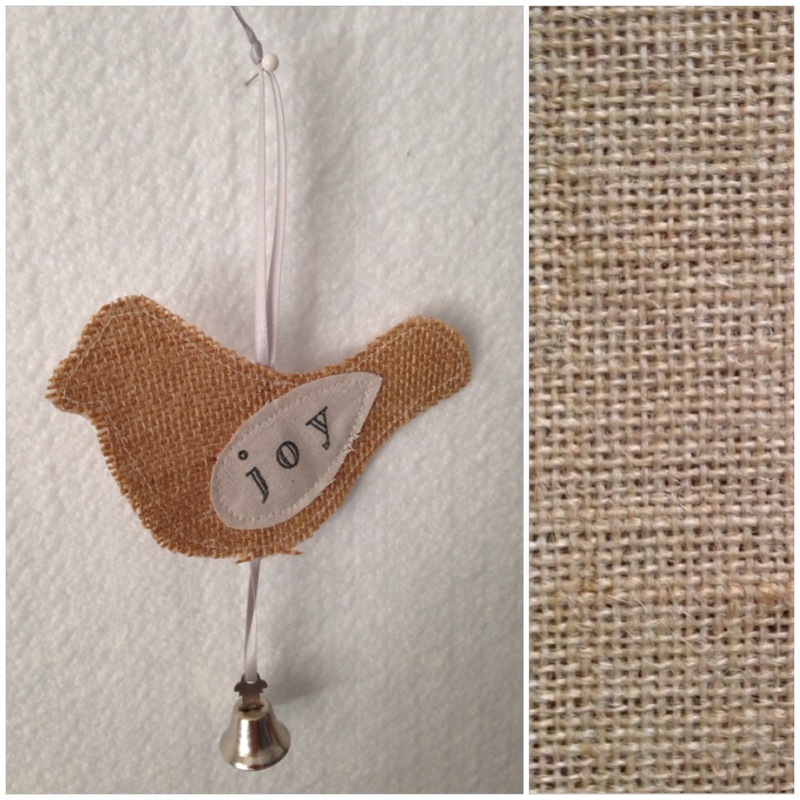 I love giving handmade gifts – they’re just the best!